"I DON'T TRAIN GIRLS", trainer Frankie Dunn growls. But something's different about the spirited boxing hopeful who shows up daily at Dunn's gym. All she wants is a fighting chance. 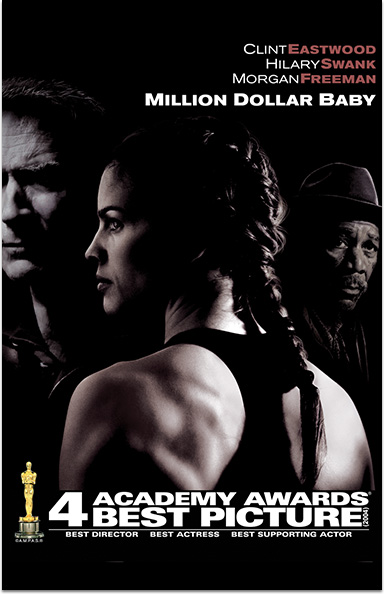 MILLION DOLLAR BABY © 2004 Warner Bros. Entertainment Inc. All rights reserved.